Drama and Romance - The drama and romance in this show have tugged at our heartstrings for over 100 years. Relatable Characters - The characters are actually relatable; they're everyday people with real struggles and passions. Operas often feature larger than life characters and can come across as elitist. But as Opera became a more popular art form, composers shifted their focus to more relatable themes and characters for everyone. Connects to Today - La Bohème features a tragic story about young, starving, Bohemian artists struggling to make it on their own. We can see a little bit of ourselves in these young artists as they navigate disease, poverty, and the joys and pitfalls of love. The Inspiration for "Rent" - The plot of La Bohème is still around today. 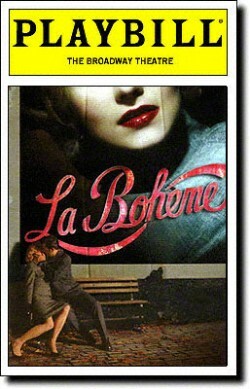 In fact, "Rent" is closely based on La Bohème. And what's better than "Rent"? The original inspiration for the show! Support the Arts - The Indianapolis area has been a strong advocate for the arts for generations. Join us in continuing and expanding this mission by supporting local art and music. Power of Music - Experience the power that musical storytelling has to break down socio-economic barriers constructed by society. Local Talent - Productions of Indianapolis Opera feature renowned artists from all over the Mid-west region. 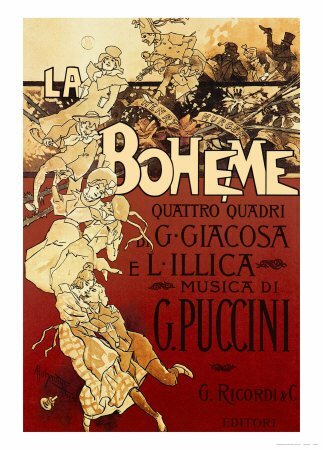 It's Worth the Walk - Puccini saw his first opera, Aida, when he was a teenager. He walked almost 20 miles to get his ticket and watch the show. But he was so inspired by the whole experience that he decided to dedicate his life to opera. Date Night - Want to switch it up on date night? An evening at the Opera is an elegant, classy, and romantic treat for your significant other! ​It's a Classic - There’s a reason La Bohème is done time and time again - its timeless story, relatable characters, and beautiful music. You won’t want to miss out on such a classic show for all!